Have you ever thought, "How cool would it be to skydive?" But, that thought was immediately followed by fear. Well, never fear, indoor skydiving is here…in Pigeon Forge, that is. Flyaway Indoor Skydiving allows you the opportunity to test the waters, so to speak, with America's first vertical wind tunnel. So, let go of that fear and achieve the dream of body in flight at America's first indoor skydiving facility. As a flyer, you will be well instructed in body control techniques and safety procedures before suiting up in the flight suite, helmet and other safety equipment before your flight experience. The entire experience takes approximately 1 hour. Come one, come all and make this a family affair. Sessions usually include five students and children are welcome. Are you still a little leery about flying? That's ok, too. There is in observation deck where anyone can come and watch for FREE! In fact, watching a flight session before your experience is highly encouraged. Besides, it's also a great way to pick up a few tricks before you fly. Are you already an experienced skydiver and just need practice time? Flyaway is a much less expensive alternative way to master your skydiving skills without the worries of bad weather. Flyaway Indoor Skydiving is less than 3 miles from the Ramada Inn Pigeon Forge. 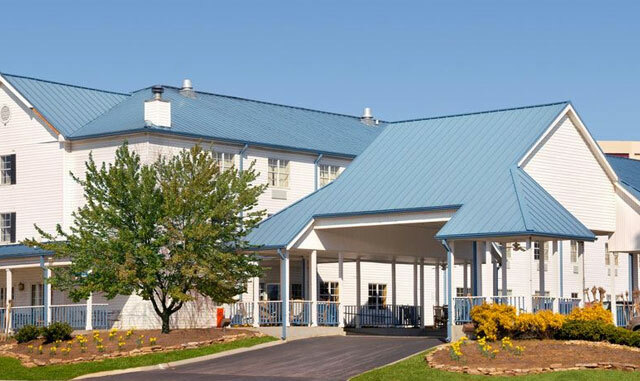 The budget-friendly accommodations of Ramada Pigeon Forge North allow the family to participate in more family-friendly activities in the Great Smoky Mountains. The location is superb and the accommodations are the perfect home away from home with complimentary Wi-Fi and daily breakfast buffet. Ask about the family suites.